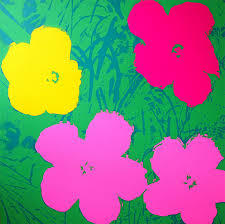 Explore the spectacular, vivid Pop Art style of Andy Warhol. Experience Sunday B. Morning screenprints of Andy Warhol including pieces from the Marilyn series, the Flower series, the Campbell's Soup series, and the Mao series. Experience the fashion and design of a stunning collection of "Art Deco" Erte signed and number lithographs. See the stunning details found in all of Erte's works. One of the first times a collection of Erte prints of this quality and quantity has been displayed in years on the Eastern Shore. Erte (1892 - 1990) Russian/French - Born Romain de Tirtoff in St. Petersburg, Russia, Erte took the name "Erte" when he moved to Paris at the age of eighteen. Erte is the French pronunciation of his initials, R and T.
Erte designed the covers of Harper's Bazaar for more than 22 years. The influence of his work through this periodical influenced an entire art movement that was know as Art Deco. The artist also created original costume and fashion designs for renowned screen actresses including Joan Crawford, Lillian Gish, Marion Davies and others for productions at New York's Radio City Music Hall and the Paris Opera. Observe Ilya Bolotowsky's use of bold colors and geometric abstractions. Ilya Bolotowsky (1907 - 1981) Russian/American - Ilya Bolotowsky was a leading early 20th-century painter in abstract styles in New York City. His work, a search for philosophical order through visual expression, also embraced cubism. In the 1920's Bolotowsky immigrated to the USA and was heavily influenced by Dutch painter Piet Mondrain and the ideas surrounding Neoplasticism, a movement that advocated the possibility of ideal order in visual arts. 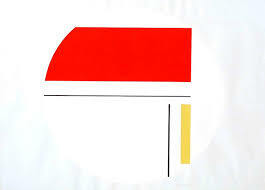 It was during this period that Bolotowsky adopted Mondrain's use of a palette restricted to primary colors and neutrals, and the use of horizontal and vertical geometric patterns. In the 1930's Bolotowsky turned to geometric abstractions and was one of the founding members of the American Abstract Artists, a group which worked to promoted the interests of abstract painters and to help the public understand their art.